In spite of the best efforts of world leaders, this controversy just will not go away. As soon as an agreement seems to be within reach, there is more violence and bloodshed. It seems like it will never end, and, unfortunately, many have lost hope. This controversy is THE issue of our world and will not go away until the One True God, the God of Abraham, Isaac and Jacob settles it forever. Now with Iran seeking nuclear weapons, ISIS wanting to establish an Islamic Caliphate, Syria falling apart, Hamas and Hezbollah surrounding Israel, the Palestinian Authority encouraging violence against Israeli citizens, the United Nations constantly condemning her, Israel has only one true friend—Bible believing Christians. In this important publication, Dr. Richard Booker explains the issues in easy-to-understand language. 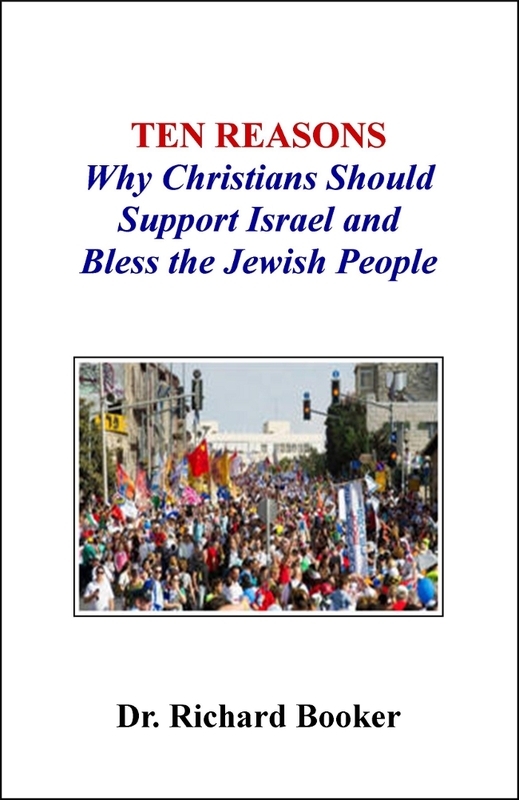 Every Christian absolutely must read TEN REASONS Why Christians Should Support Israel and Bless the Jewish People.